Is there something new you want to learn? 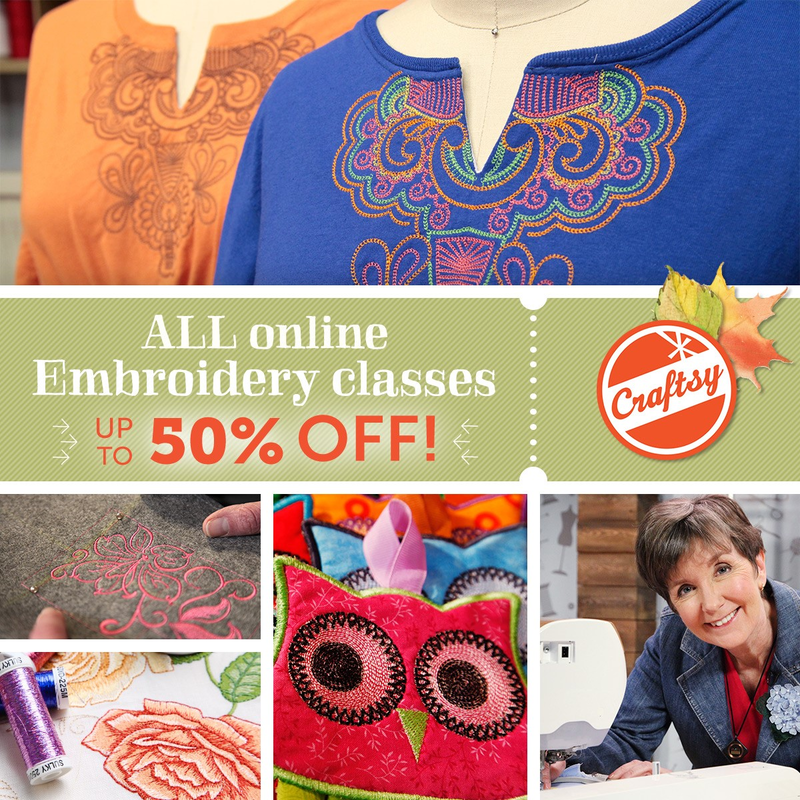 Have you thought about Craftsy? Now is the perfect opportunity to try out the platform. All classes are up to 50% off through Monday! Best of all, they have a 100% money back guarantee. You have nothing to loose. Click on the picture above will take you to the wonderful world of Craftsy. I am thinking about taking the Cooking the Perfect Steak Class and one of the Photography classes. I would really like to become better at taking project pictures! Now the Craftsy folks want to see how many of you like me and will follow my link. Who knows, this may lead to more classes in the future and I have a lot more tricks in my basket! So click on the picture to purchase that class you have been waiting to go on sale! I do apologize for the tardiness of my posts, but I will make it up to you as soon as my life settles down!